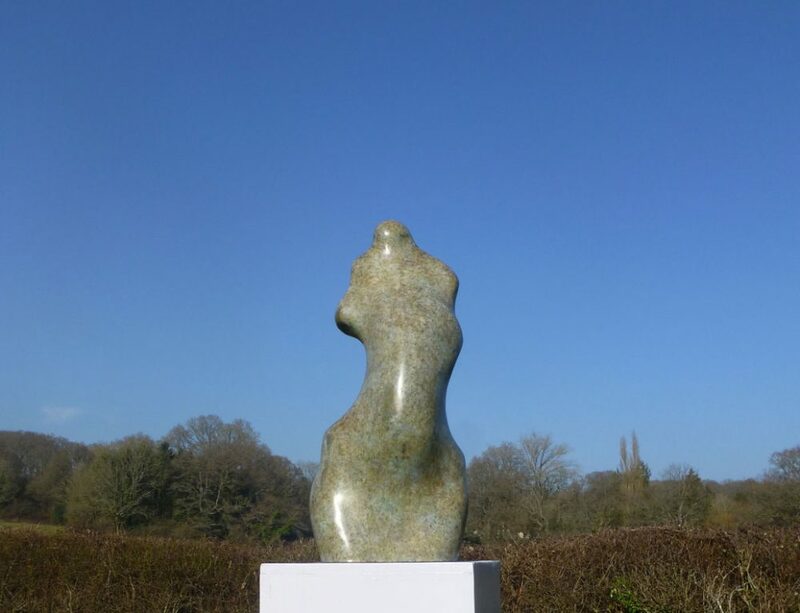 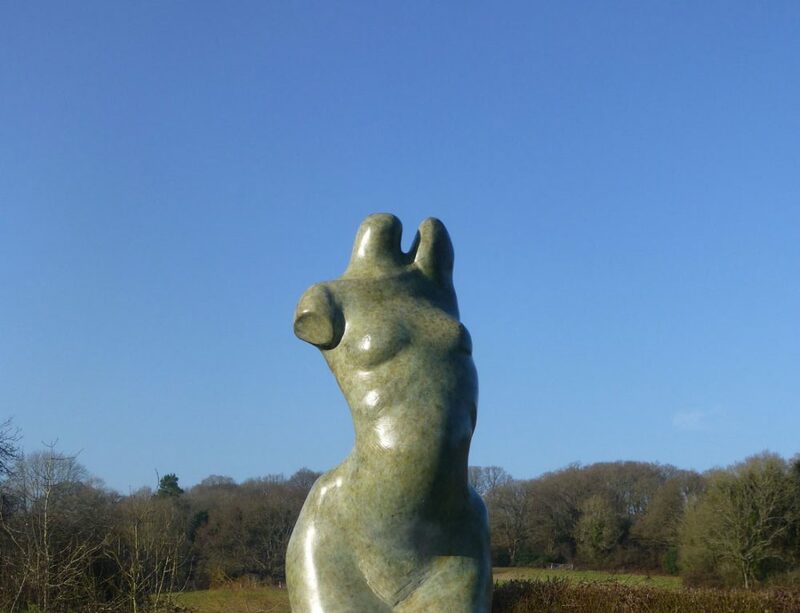 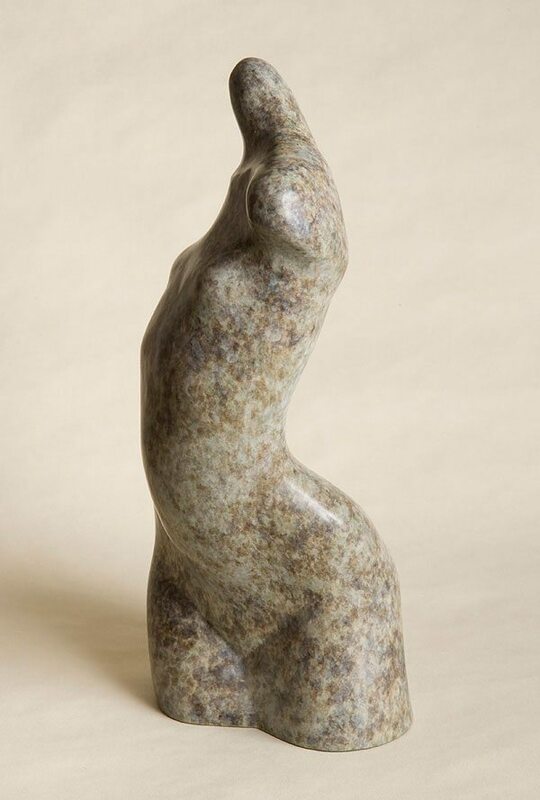 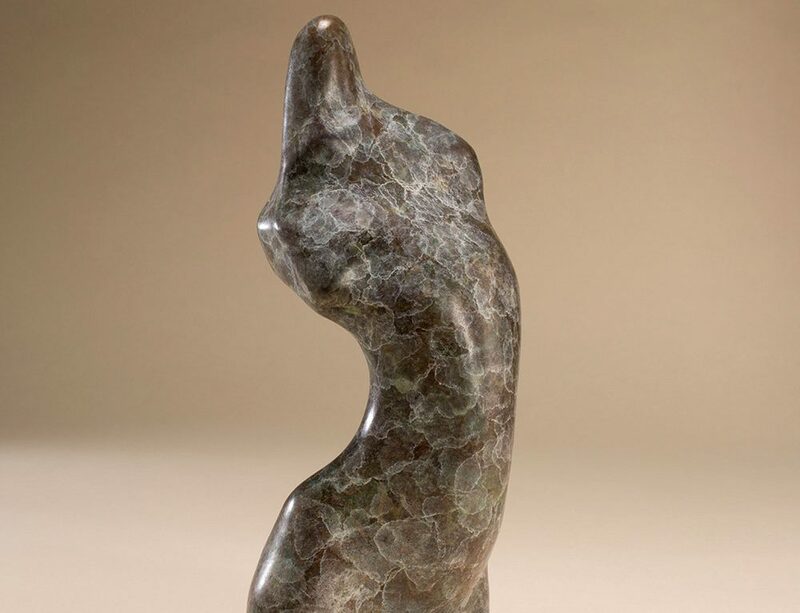 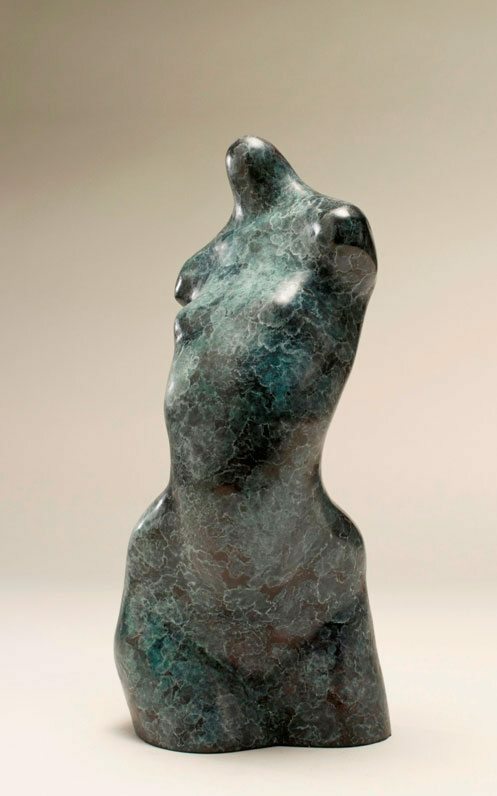 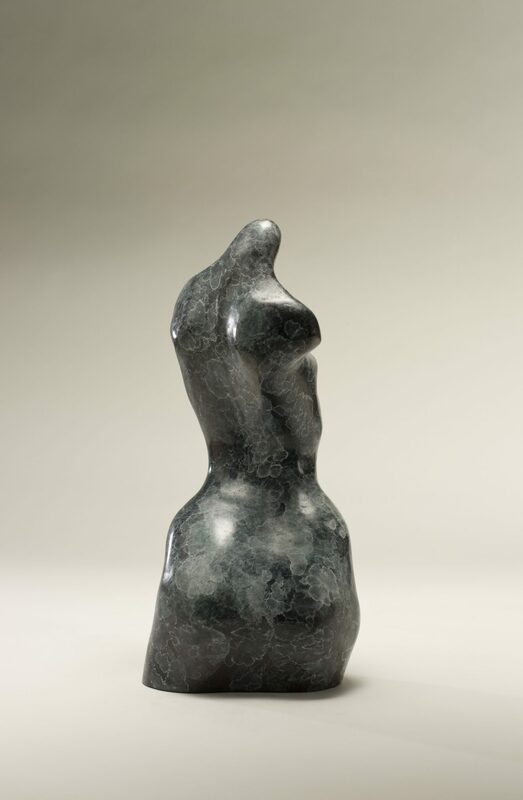 The concept for this bronze sculpture came from a piece of flint found while out walking. 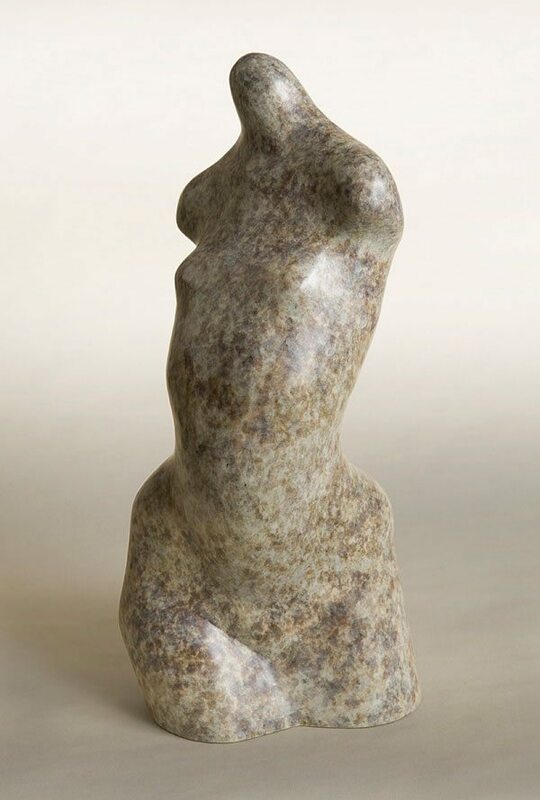 I have a collection of stones that suggest human forms and refer to them when coming up with ideas. 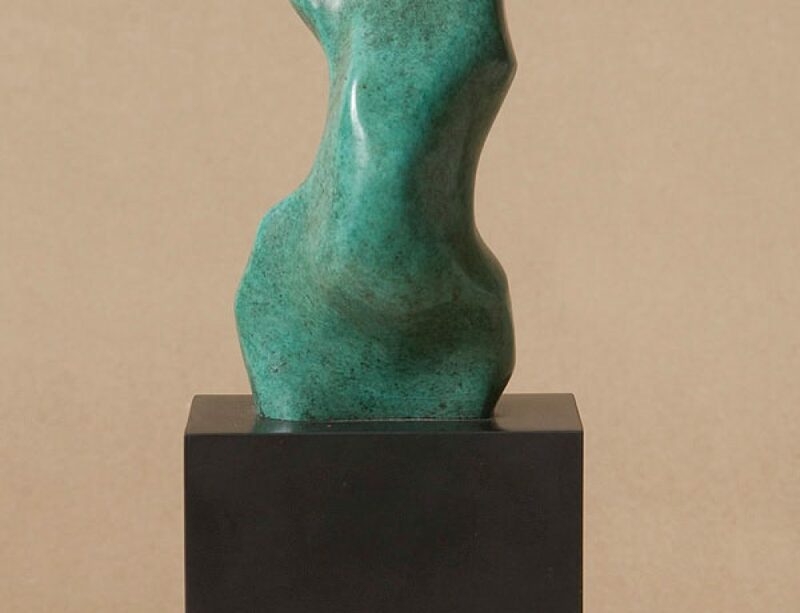 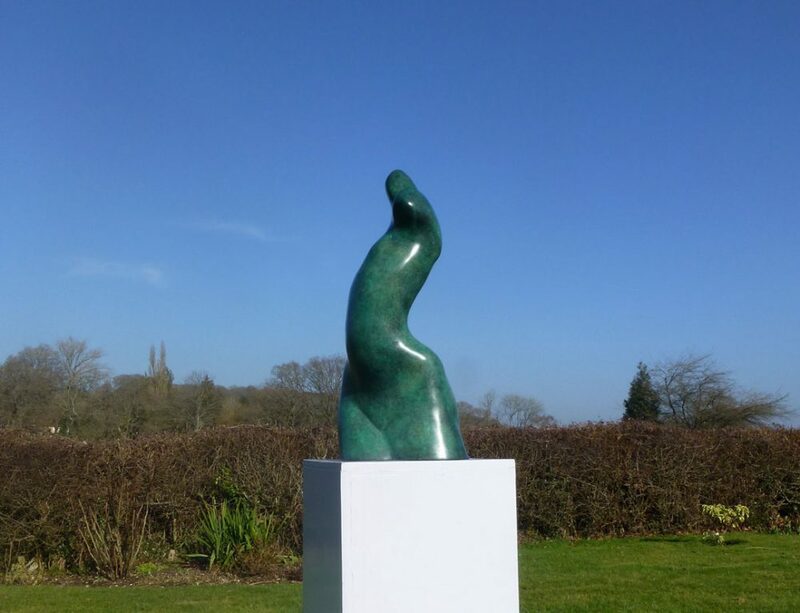 This bronze artwork is shown in two different patination colours as I like to make each piece unique. 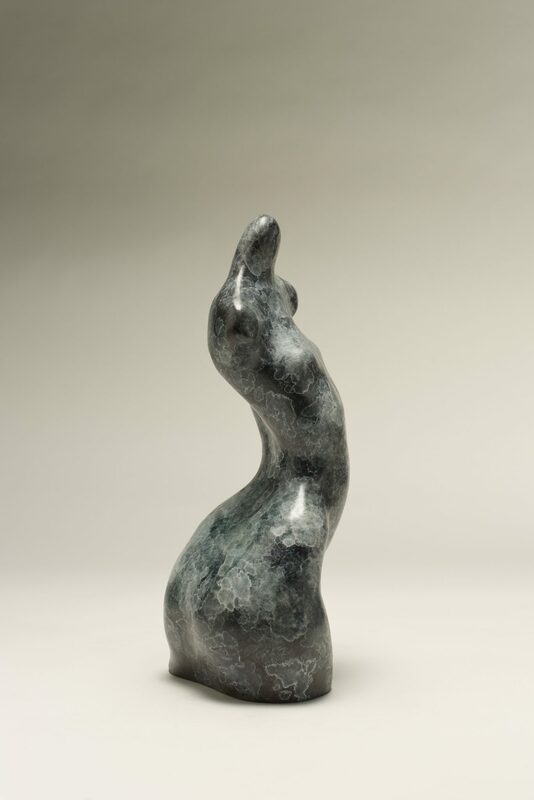 It is one of an edition of 9 and is 33 cm high and suitable for interiors.